L to R above: Melissa and Alan Fisher; Alma Villezcas; Roger Nichols; Ric Lambart; and Virg Hemphill. All four men at this table were former USAF pilots and are also active members of the local El Paso Daedalian Society’s Flight 24. Additionally, everyone at this table is an active FASF member, and Alma is the FASF Treasurer. This photograph is courtesy of Lewis Woodyard (Homepage), Professional Photographer of El Paso, Texas. For many others of you who also attended the event, Lewis probably has photographs of you, as well. You can easily find out by calling him at (915) 217-5929. Please simply click on any photo in this story to see the photo’s full resolution, but right click and choose the option to “Open Link in New Tab.” This will preclude the inconvenience of having to return to the story’s main page once you’ve studied the full-sized photo. Also remember to turn your sound on for the drone-view of El Paso’s Flag Monument video down below. 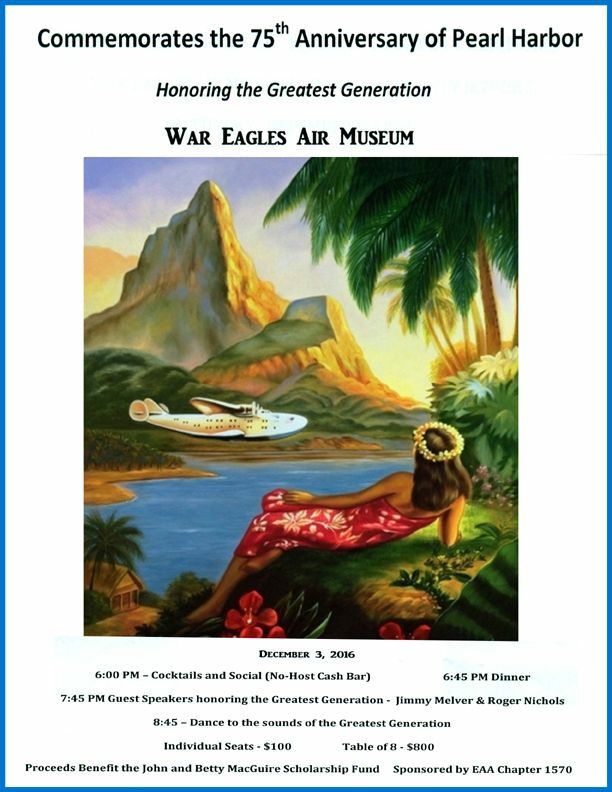 Above is the colorful promotional poster, designed by the EAA Chapter 1570 event team, which managed to help the gala celebration sell-out for a full house. Members of the Sponsoring Banquet Event Team Committee were: John and Melissa Keithly, Deb Rothchild, Mike Robinson, Marcia McNamee and Bob Dockendorf. Over 250 people attended the historic celebration of “America’s Greatest Generation,” according to Mr. Keithly. 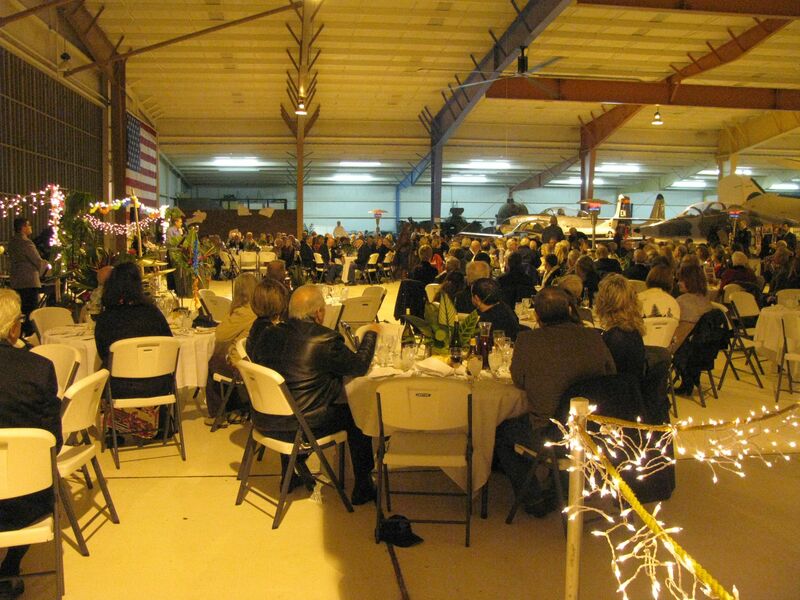 View of part of the early arriving crowd of Scholarship Fund Supporters in the War Eagles Air Museum (WEAM) – FASF Photo by Aerodrome staff. 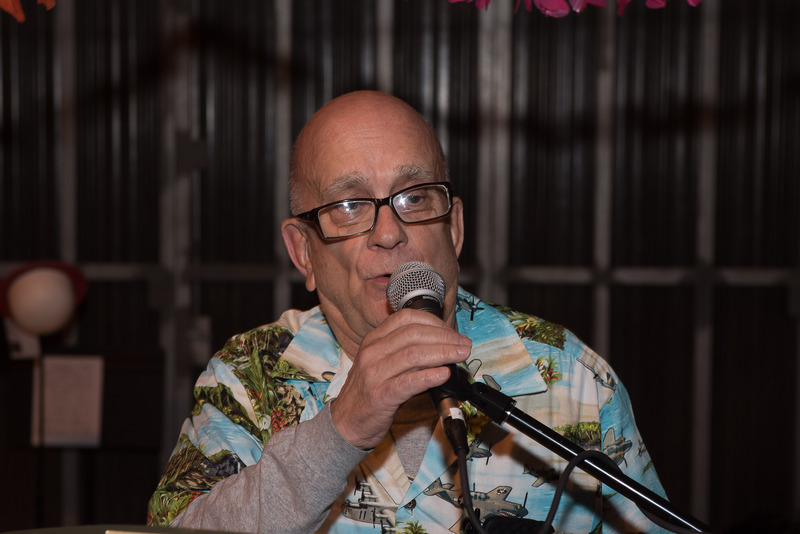 The special celebratory and memorial event at which the above FASF table was present was put on to raise funds for the John and Betty McGuire Scholarship Fund. 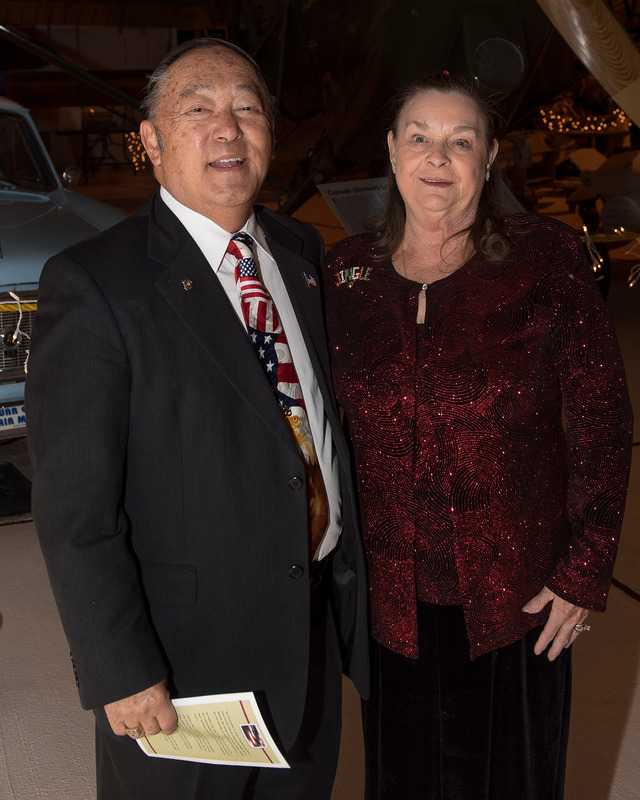 The McGuires were the creators and long time primary supporters of the War Eagles Air Museum located at the Dona Ana County Regional Jetport, in Santa Teresa, NM. Since Mr. McGuire passed away, his wife, Betty, has remained active in the Museum’s operations. The memorial celebration was held inside the Museum itself, and organized by the Experimental Aircraft Association’s (EAA) Chapter 1570, which is also located at the Jetport. 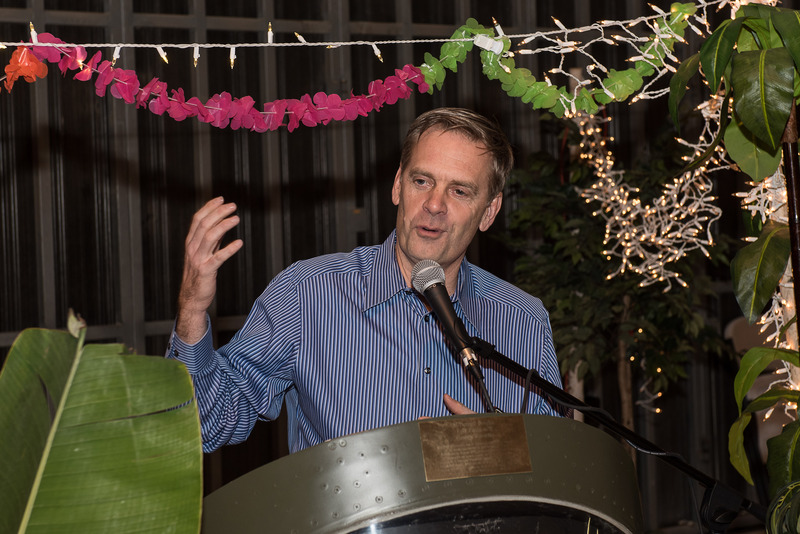 “Doppler Dave” Speelman was the accomplished Master of Ceremonies. Photo courtesy of Lewis Woodyard. Jimmy and Mrs. Donna Melver by Lewis Woodyard. FASF member Roger Nichols, who is also the recently elected Captain of the El Paso Daedalian society’s Major General Frank A. Nichols Flight 24. 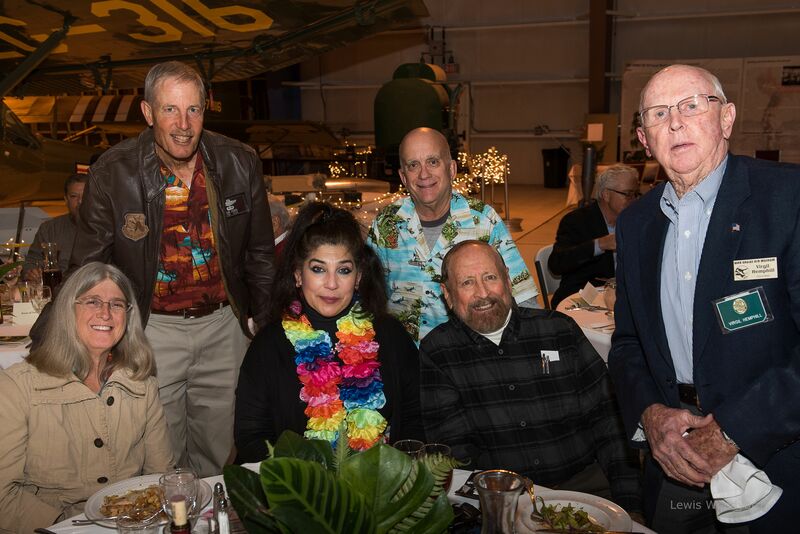 Many other active FASF members attended the gala event, including Wes Baker, President of the Las Cruces, NM EAA Chapter 555; John Keithly President of the EAA Chapter 1570, the Chapter which organized and sponsored the entire memorial scholarship fund affair. We also spotted Tomas Peralta, owner and CEO of Red Arrow Flight Academy (a long time FASF Business Supporter) and some of his staff. His Red Arrow Team’s helicopter Flight Instructor, Deb Rothchild also worked hard on the Banquet Committee along with Mike Robinson and Marcia McNamee to help make the celebration such a great success. Loyal FASF Business Supporter and Executive Director of the War Eagles Air Museum, Bob Dockendorf, also a member of the Committee, and his assistant, George Guerra, were busily appearing everywhere during the event to help make sure things went smoothly. Chaplain’s Catering of El Paso, managed to deliver and outstandingly delicious fare for all attendees, and its owner, Gerry Chapain, was there to personally make sure things went well. There were also some other FASF members at the banquet, but your reporter unfortunately didn’t get to log down all their names, but he did see some of them, at least fleetingly, during the festivities. If we missed getting you listed here, please let us know and we’ll make sure your name appears in this story. After all, you all helped make this scholarship event such a great achievement by taking the time to participate. “Flag Man” Jimmy Melver delivering his presentation to the audience. Dave Speelman behind him. Photo by Lewis Woodyard. 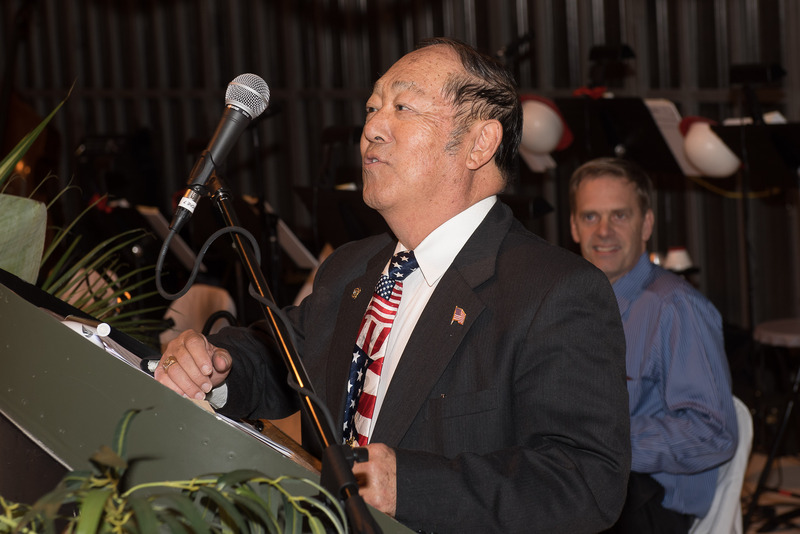 The first speaker of the evening, Jimmy Melver, (above) was actually raised in Japan and didn’t become an American Citizen until some years later. When he arrived in the U.S. he only spoke Japanese – no English at all. When he later became a U.S. Citizen, he displayed a degree of enthusiasm rarely seen among immigrants. Jimmy is now an active civic leader in his U.S. home town of El Paso, one who is involved with numerous community service groups. However, Mr. Melver is probably best known for being the founder and President of the Flags Across America Monument project, which he managed to create, get funded, and then successfully develop. As a result, Mr. Melver has become known around El Paso as the “Flag Man” and was just given the Citizen of the Year Award at nearby Fort Bliss. The below short 48 second long video is best viewed directly on Internet Explorer, Microsoft’s “EDGE”, or Google’s Chrome, rather than Mozilla Firefox, which will redirect you to the general YouTube video site, rather than play the video right here in the browser you’re using. If you are a loyal Apple devotee, then your MAC Safari browser should work well, too, according to Dr. Kathleen Martin, FASF Trustee, who just tested it for us. This suggestion also holds true for the two short videos of the actual attack on Sunday morning, December 7, 1941. His large El Paso Old Glory Memorial Monument (above short 48 second video) in NE El Paso has become a popular tourist and local visitor’s site. Shortly after arriving in the U.S., Jimmy decided he would no longer speak Japanese, because he wanted to show how overjoyed he was at becoming an American – so he even refused to speak his native tongue at home with his Mother. Today, one cannot detect even a slight Japanese accent when Jimmy speaks, so his determination to learn American English clearly paid off. Considering how coldly some of Jimmy’s U.S. relatives were treated during WWII, when they were interred in U. S. Japanese prison camps, losing all their properties and possessions, it’s noteworthy to observe that this remarkably didn’t sour Jimmy’s enthusiasm for his new homeland. After the first “Old Glory” was raised at Mr. Melver’s flag site, he designed and erected the World War II Monument; then the World War I Monument; next the Korean War Monument; and finally, the Women Warrior Monument. The impressive site is open to the public and located at Old Glory Memorial, on the corner of Gateway North and Diana Drive in NE El Paso (map). Before the Paso Del Norte Big Band opened up the gala dancing session for the evening, playing the nostalgic “Big Band” tunes from the WWII era, our own FASF member, Roger Nichols, shared his Father and Mother’s written memories of their harrowing experiences at Wheeler Army Air Field on Oahu, Hawaii, on the fateful day of December 7, 1941 – 75 years ago. Many don’t realize that Wheeler Air Field was actually the first target of the Imperial Japanese Air Armada that struck Hawaii, not Hickam Air Field and the Navy’s ships in Pearl Harbor. FASF member, Roger Nichols, describing his Father and Mother’s harrowing experience at Pearl Harbor on December 7, 1941. Photo taken by El Paso professional photographer, Lewis Woodyard. Luckily neither of the young newlywed Nichols were injured, although bombs and strafing Japanese fighters were wrecking deadly mayhem all about them. 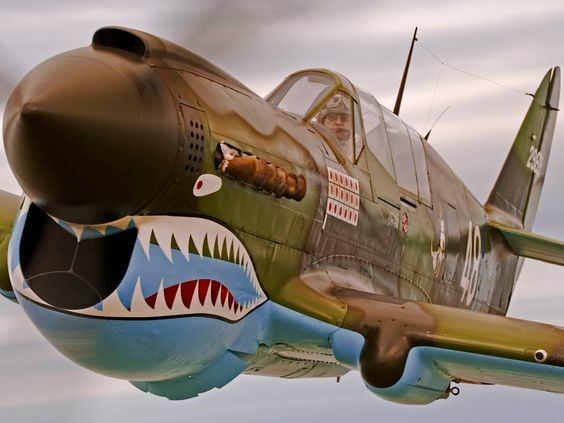 Lieutenant (Then) Nichols hurriedly ran to the flight line, but found it under fierce enemy attack and most of the Curtiss* P-40 Warhawk fighters (photos below) were already in flames or blown up, so he rushed back to find his bride inside their apartment with heavy furniture piled around her as a safety measure in case their home suffered a direct machine gun or bomb strike. After the vicious attack, “The Day That will Live in Infamy,” (FDR), Roger’s Dad (photo at right) stayed behind at Wheeler, and went on to become a highly decorated American Fighter Pilot ACE in the Pacific Theater of operations as the war progressed. Roger’s Dad stayed in the Air Corps after the war ended and made it his career. He retired a Major General in the United States Air Force (USAF) and finally settled in El Paso, Texas, where Roger was born after the war ended. Roger himself later joined the USAF and became a Navigator on B-52 Heavy Transcontinental Bombers and was later selected for the Air Force Flight Training Program, where he successfully managed to become a USAF pilot, just as his father had been. The El Paso Flight of the Daedalian Society was renamed in honor of Roger’s Father, Major General Frank A. Nichols, who had been one of its early Flight Commanders, when it was entitled the Daedalian Roadrunner Flight and was located at Holloman Air Force Base, in Alamogordo, NM, before it relocated to El Paso. 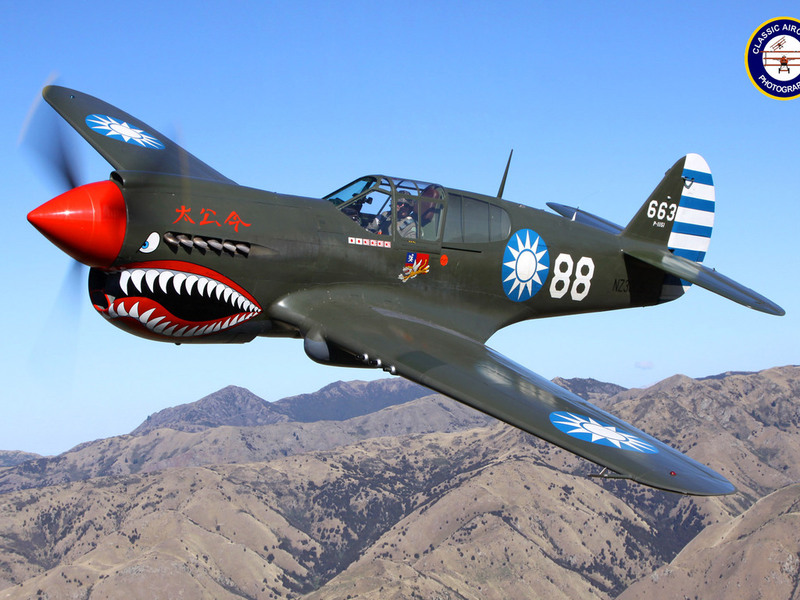 A fully restored P-40 Warhawk in authentic Flying Tiger’s (“AVG”) Paint Scheme. 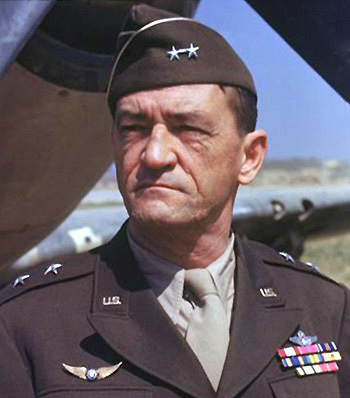 U.S. General Claire L. Chennault (see photo at end of story, below) led this famous group of American (Civilian) Volunteer Group of fighter pilots in their outnumbered yet very effective fight against the Imperial Japanese invaders of China, a good year before the United States entered World War II, but he had been an aviation advisor to free China’s leader, at the time, Chiang Kai Shek, who later became the first President of Free China (“The Republic of China“- – -“ROC“) or what we now know as Taiwan, when the Chinese Communists pushed Chiang and his forces from the mainland at the end of WWII. Chiang rose to lead the Chinese Nationalist Party in the mid 1920’s and became the first Chinese leader to succeed in unifying the previously and historically highly splintered war-lord governed country, which had consisted of a patchwork quilt of independent warring fiefdoms. 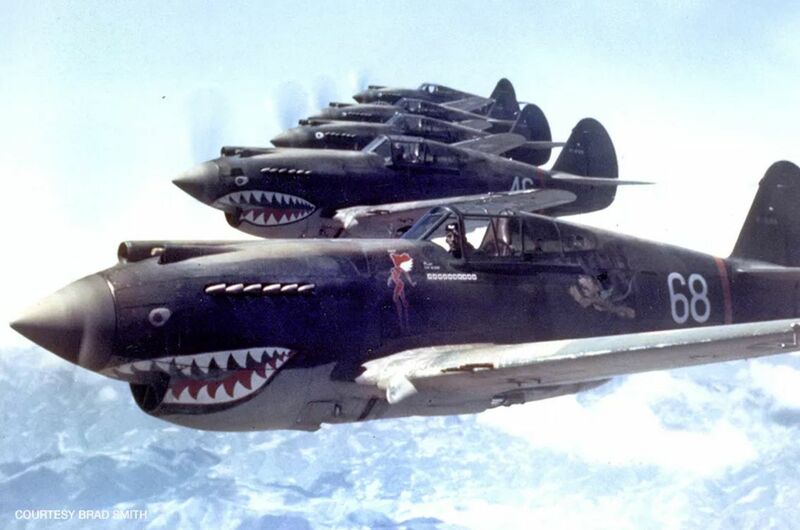 Tigers, Teeth, and Sharks, the famed P-40 of the Flying Tigers. 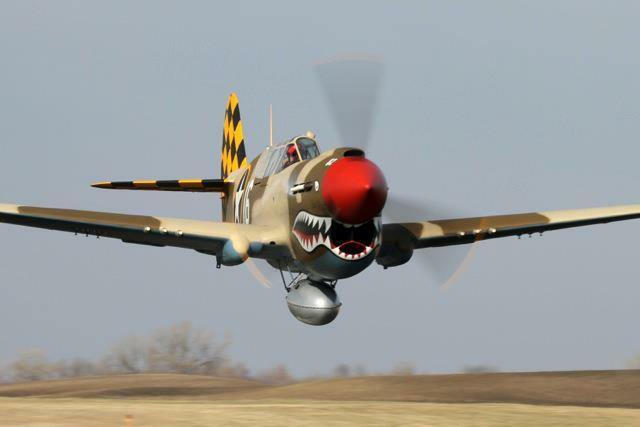 Warhawk (sometimes known as the P-40 ‘Tomahawk‘ or ‘Kittyhawk‘ by the British) makes low pass over the desert. Portrait of then Major General Claire Lee Chennault standing under the nose of his much beloved Curtiss-Wright P-40 Warhawk. The wings on his right chest (left in photo) are those of the Chinese Air Force of the 1930’s. 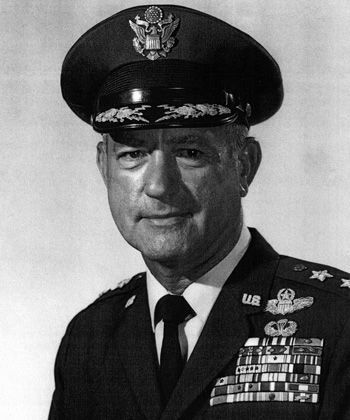 Chennault long after his retirement from the service, was promoted to a three-star (Lieutenant) General by the USAF shortly before his death from cancer in 1958. His second wife, Chen Xiangmei, whom he married in 1947, was a young reporter for the Central News Agency. She became one of the Republic of China’s chief lobbyists in Washington, DC. * The company that manufactured the legendary P-40 Tomahawk and Warhawk, Curtiss Aeroplane and Motor Manufacturing Corporation still exists to this day, but goes by the name of Curtiss-Wright Corporation. It is the very same company that made the famous First Aero Squadron’s JN-1, 2, 3, and 4 model “Jenny’s,” back during the 1916-17 Punitive Expedition out of Columbus, NM. These early Army “aeroplanes” regularly flew out of Columbus and deep into Chihuahua, Mexico, before the United States actually entered Word War I in Europe during 1917. The new company’s name is the combined (companies merged in 1929) names of America’s two great aviation giants: The Wright Brothers, who made the first successful flight of a heavier-than-air airplane, and Glen Curtiss, the brilliant aeronautical genius and famous motorcycle racer of the early 20th century, who teamed up with a young aeronautical engineer from Great Britain, Benjamin Douglas Thomas, formerly of the Sopwith Aviation Company, to design and manufacture the first Jenny’s. The Sopwith company, with which Mr. Thomas was an engineer, made the renown Sopwith Camel, which was flown by American pilots against the Germans in WWI. Actual Newsreel Footage and Audio Voice-Over of 12/7/1941 2:05 minutes in length – This is what those at home saw at their local movie theaters, since there was no TV at the time. Some live portions are from captured Japanese films. This entry was posted in HOT NEWS! on December 6, 2016 by FASFRIC. Outstanding post! Super job Ric. Very informative and great pictures too. It was a wonderful evening to celebrate the Greatest Generation! It truly was quite a blast, Roger. Lot of fun while remembering that great generation of which your Dad was such an outstanding contributor. They did what they had to do – – – and succeeded in keeping us free!